Author: Enright, Rosemary Set In . . .
Young Englishwoman Isobel Jefferson is delighted to gain employment as an au pair to a couple in Milan, certain the history and romance of Italy will inspire her artistic talent. But instead of nurturing dreams, Isobel is trapped in the nightmare world of her employer, Nina Fischer, an artist and Holocaust victim now descending into madness. 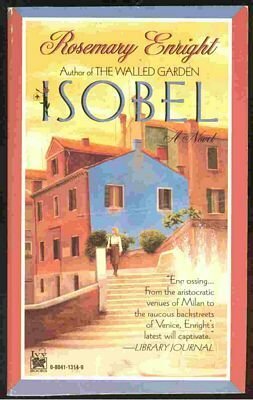 Running from Milan, Isobel enters the glittery world of 1960s Italian society, where she meets Furio Bonetti, scion of a powerful political family, whom she marries.